The salvage archaeological excavations at the part of the Virovitica-Korija site covered by the route of the western by-pass of the town of Virovitica, between chainages 5+420 and 5+700 km, were carried out between 21st October and 5th November 2005. The site lies to the north of the Virovitica-Koprivnica main road, in a farming area around 3.5 km from the centre of Virovitica. It is situated in a plain, on an only slightly elevated position. More prominently elevated positions can be seen to the north and west of the location where the salvage archaeological excavations were carried out. 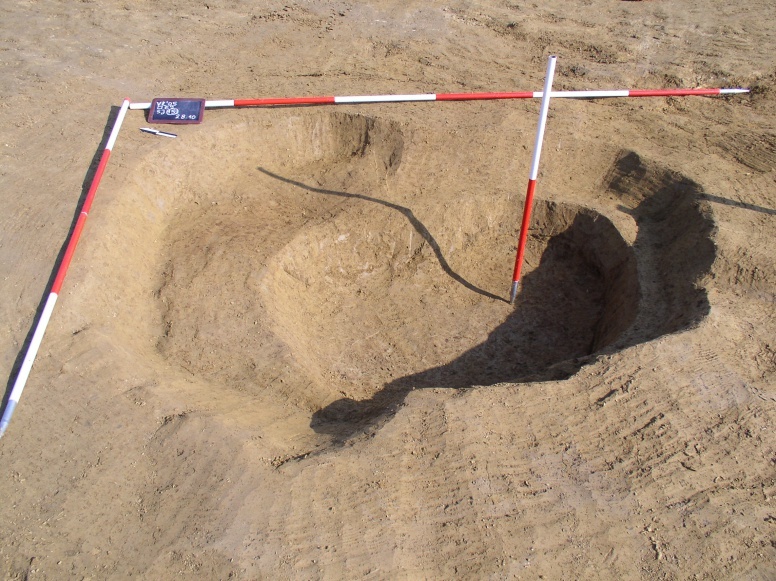 Prior to the salvage investigations, Virovitica-Korija was archaeologically surveyed and identified, based on surface finds, as a site from prehistory and the Middle Ages. 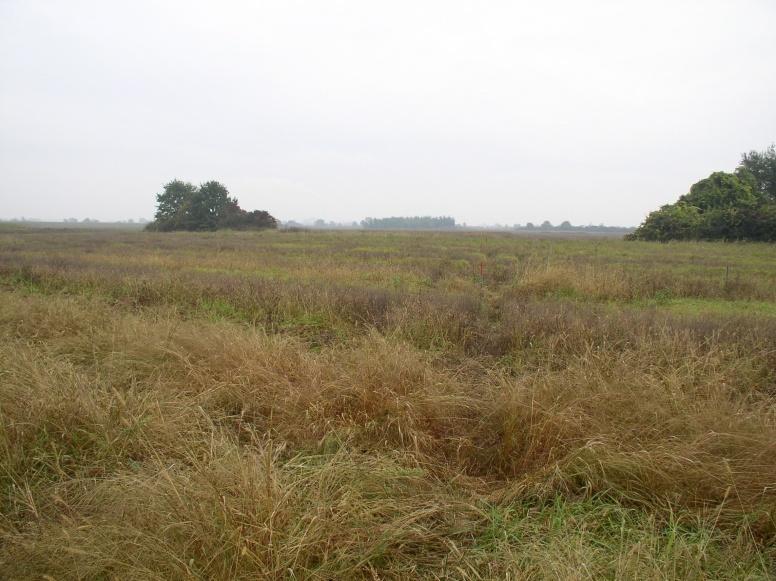 The salvage investigations uncovered the remains of a prehistoric settlement, while no elements pointing to the presence of a mediaeval site were found at this place. The excavation covered the entire surface of the construction zone of the future road 17 m wide by 280 m long. The prehistoric settlement probably stretched longitudinally in the NW-SE direction, and the route of the future by-pass covered only a small part of the settlement. Only three out of ten large structures (of irregular shape, measuring around 3 x 2.5 m) and four smaller features (presumably the remains of posts or small pits) abounded with ceramics, whereas the remainder yielded only sporadic finds of pottery and daub. Radiocarbon dates and several more completely preserved pots date this single-layer settlement to the Copper Age, that is, the Lasinja culture. The road route covered only a peripheral part of the settlement, due to which it was not possible to gain insight into the organization and layout of the settlement. Tkalčec, T., 2006, Virovitica-Korija, zaštitna arheološka istraživanja 2005., Annales Instituti Archaeologici, II, 52–54. Tkalčec, T., Balen, J. 2007, Korija, u: Zapadna virovitička obilaznica – zaštitna arheološka istraživanja 2005./2006. godine, Sabolić, D., Salajić, S. (ur. ), Virovitica., 47–51.